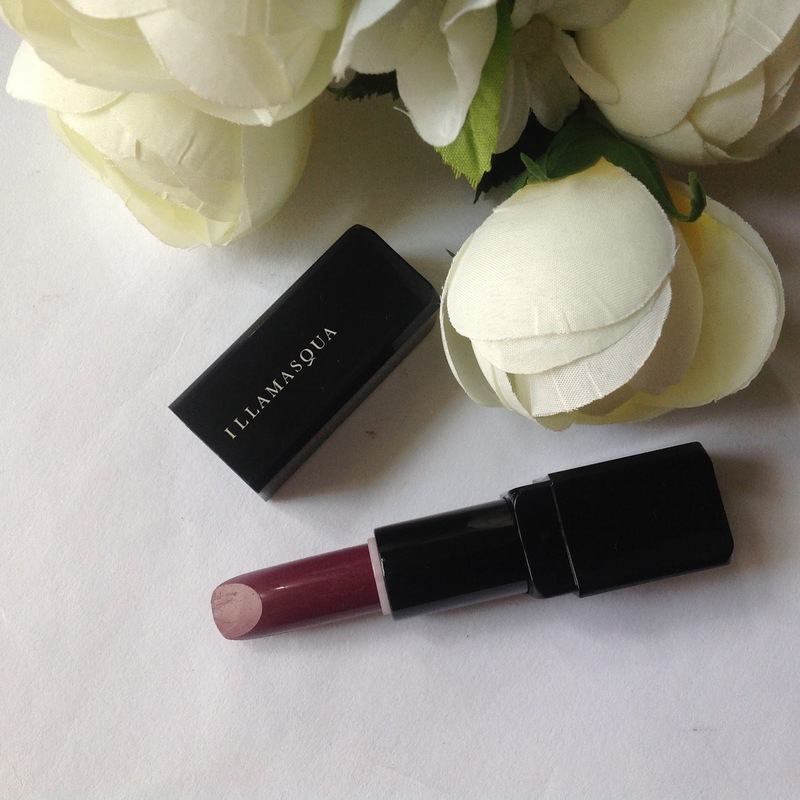 I am really into purplish lipsticks recently so when I swatched this in the Illamasqua store, I fell in love. The colour is a gorgeous deep burgundy shade with hints of plum undertones. Had to purchase it then and there. However, when I busted it out to use it a day or two after, I was sadly very disappointed. This lipstick, in my opinion, is really difficult to apply on the lips and to get an even coverage of colour. The matte formulation is really dry, even though I do not remember it being so dry when I swatched it in store. I tried application from the tube or via a lip brush and it was still applying patchy. 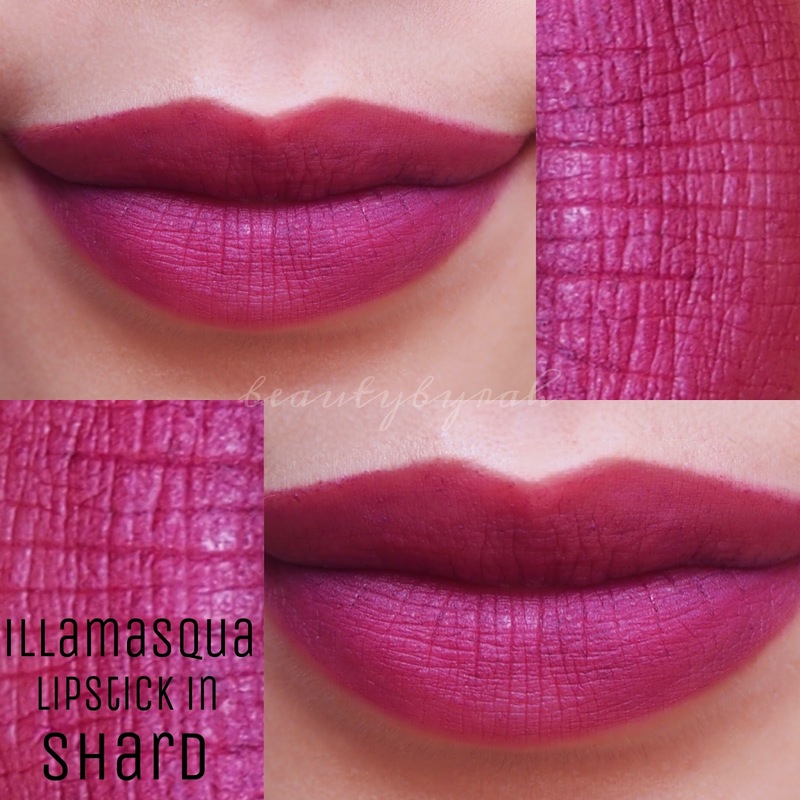 I don't know if I got a dud, but sometimes I will get so frustrated with this lipstick that I will just give up and go for another shade I do have other lipsticks from Illamasqua, both the Glamore line and the matte finish ones and they work great. I just don't get this specific one. I really want to love it, I do, as the colour is phenomenal. But the application process just makes me not reach for it. At all. THEN: I was bored one day and decided to reach for this again. Somehow (and I really do not get why), the lipstick glided on way better and pigmentation was decent. I had to double check if I took the right lipstick! The lipstick is workable now and I am enjoying it so! It glides soooo much smoother on the lips now. Pigmentation is decent and two layers of this lipstick provides good coverage. Doesn't feel too drying on the lips either. I DO NOT REALLY UNDERSTAND THIS CHANGE (but am sure glad that it happened). You know how some eyeshadows or blushes have a waxy film on their surface and you have to scrap the top layer off for any pigmentation? I feel that this is the most probable reason. I kept swatching this lipstick on my hand over and over again to admire the colour (since I couldn't wear it on my lips back then). Perhaps the "top layer" was the main reason why the lipstick was so horrible in the beginning. Or, it could be the temperatures or something (singapore is pretty darn hot). Whatever the reason is, I'm like THANK YOU. So, if any of you guys are experiencing that problem, try swatching it a few times and try again! 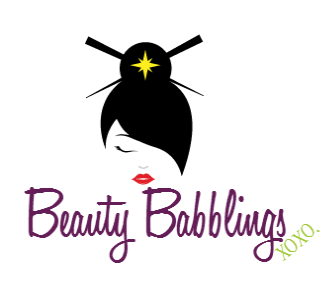 Maybe a makeup miracle could happen to you as it did me. Here's how the lipstick looks like in normal daylight. Such a gorgeous colour! 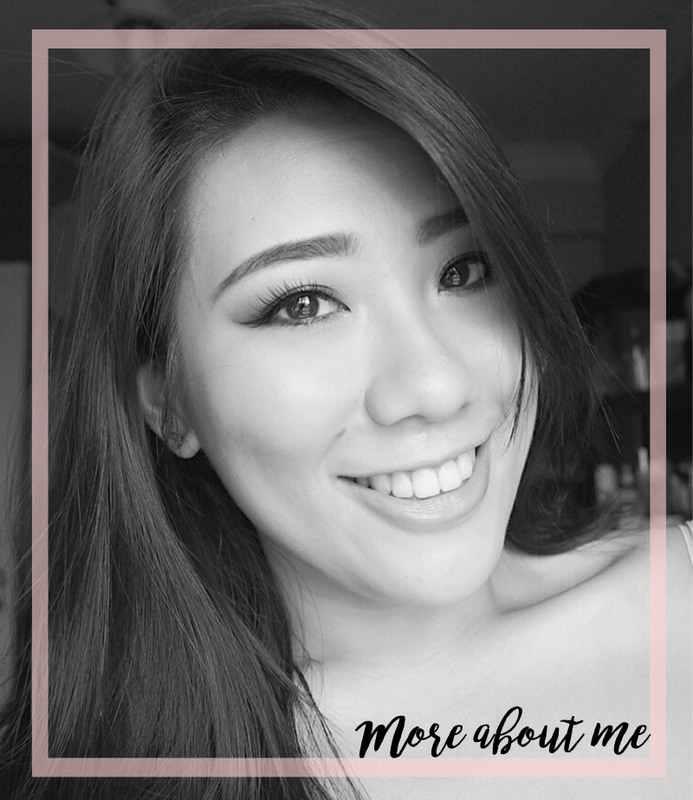 Hope the review and swatch was useful in some ways and thank you for dropping by! Yes it is! I'm super obsessed with purplish shades recently! And no problem, hope the tips were useful for you! Xo.